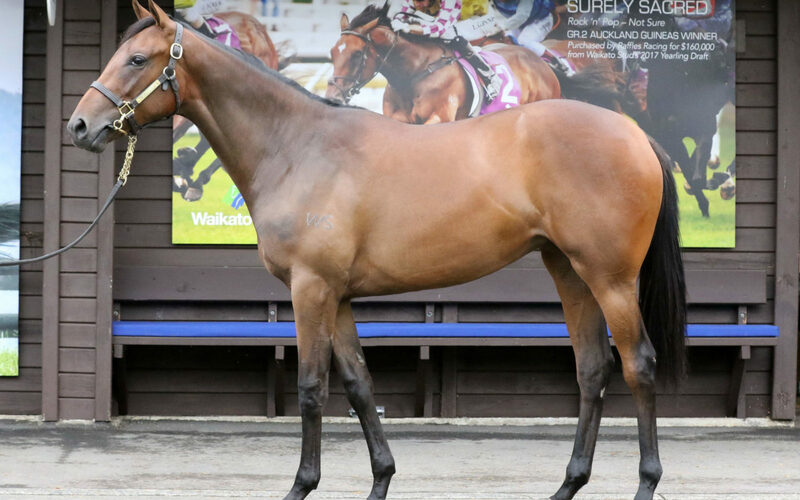 “She’s one of our picks of the sale and we think at the price she was very good value,” said Te Akau principal David Ellis. The filly is from the family of Rosehill Guineas (Gr. 1, 2000m) winner Metal Bender (Danasinga), a son of grand-dam Jacqwin (Bluebird). 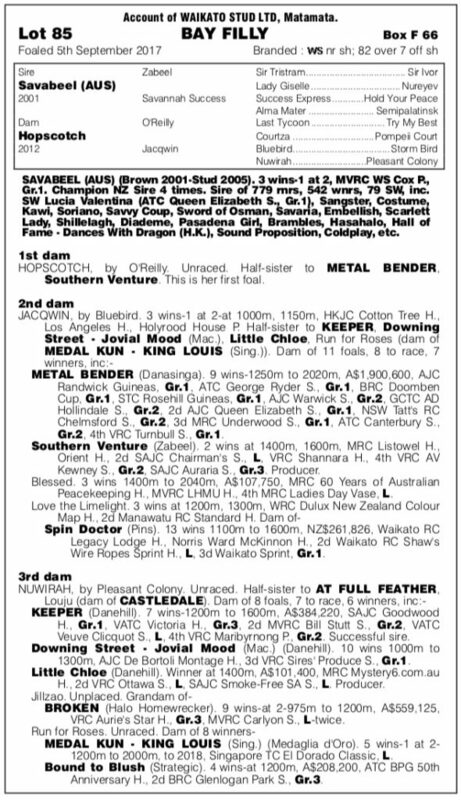 Metal Bender won nine races in Australia, and the title of top Australian 3YO in his year, while Jacqwin has left seven individual winners of 22 races. Her sire, Bluebird (Storm Bird), is a high quality influence in any pedigree, but represented by only a select band of mares in New Zealand. “She really is a gorgeous filly and reminded us in many ways of Probabeel, as a yearling last year,” Ellis said. She carries a really nice cross of Northern Dancer and Sir Ivor, the sire of Sir Tristram, in her pedigree.